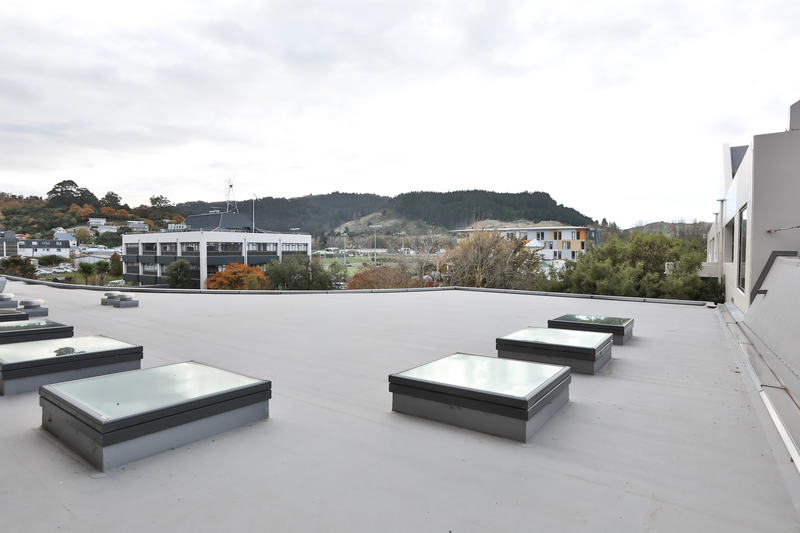 Dunedin Roofing Systems was engaged by Cook Brothers Construction to complete the Enviroclad Membrane roofing on the Mason & Wales designed new $11.9M ‘Learning Link’ project at Otago Polytechnic. The 1400m2 project included a plywood substrate. The 2 degree pitch roof is visible from many surrounding buildings so the finish had to be perfect. Due to Viking Enviroclads 3.6 m wide and 30.4 metre long rolls the project was able to be executed with minimal laps. This project is a Viking Full System Warranty project only able to be undertaken by licensed applicators who have trained to a level 3 training certification. 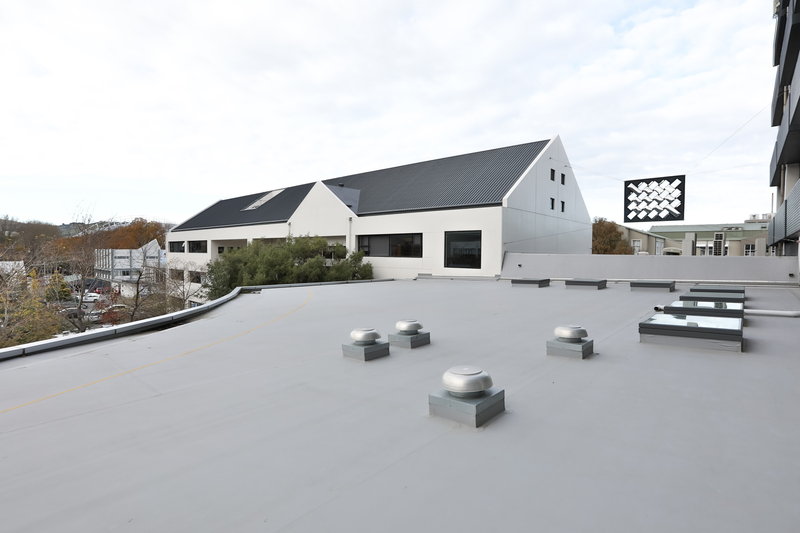 The result is an extremely attractive, perfectly watertight roof installed to the highest standards and delivered on time while enabling the day to day operational and educational activities of the Polytechnic to continue with the minimum of disruption.